The investigation and ultimate arrest of someone for a DUI or a DWI is a complicated process and there are many ways to challenge the police work, which can result in an acquittal or a severely reduced prosecution. If you were charged with a DUI or a DWI, contact Robert L. Langford & Associates, in Las Vegas, Nevada, for legal assistance. DUI attorney, Mr. Langford, has handled such cases for more than 20 years, helping to acquit his clients of the charges completely or significantly reducing their punishments. What Constitutes a DUI or DWI Charge? Driving under the influence (DUI) (driving while intoxicated (DWI), drunken driving, drunk driving, operating under the influence, drinking and driving, and impaired driving) is the act of driving a motor vehicle or boat with blood alcohol levels in excess of a legal limit. Similar regulations cover driving or operating certain types of machinery while affected by drinking alcohol or taking other drugs. You do not have to actually be driving a vehicle down the street to be charged with a DUI. In Nevada, you are presumed to be intoxicated if there is a measurement of alcohol in your blood of .08%. 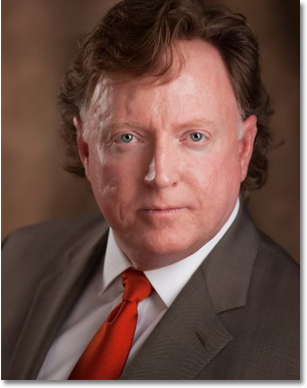 DUI lawyer, Robert L. Langford, is committed to fighting for you. He has many years of experience as a DWI attorney, fighting for the rights of his clients, and helping to minimize the costs of a drunk driving conviction. Jail Time: A minimum of two days to a maximum of six months in jail, or with court approval of at least 96 hours of community service. Fines & Fees: A fine or fee of approximately $400.00 to $1,200.00, plus additional fees and assessments. Online Educational Program: A completion of an approved, eight-hour DUI school or substance abuse program. This can be done online. Local Drunk Driving Event: Mandatory attendance at a drunk driving “Victim’s Impact Panel”. IID Device: Possibly requiring installation of “ignition interlock device” (IID) for three to six months. Abuse Assessment: If the blood alcohol level is .18% or higher, submit to an alcohol abuse assessment. Driver’s License Suspension: A suspension of your driver’s license for 90 days (reinstatement requires payment of fees, passing tests, and the submission of an SR-22 proof of insurance form). It is, however, possible to request a restricted license, permitting driving to and from work or in the course of employment once the first 45 days of the suspension have passed. Jail Time: Minimum jail time of 10 days to a maximum of six months. Fines & Fees: Fines or fees of approximately $600.00 to $1,200.00, plus additional fees and assessments. Driver’s License Suspension: Driver’s license suspension of one year. Reinstatement of the license requires the payment of fees and filing an SR-22 form showing proof of insurance. Abuse Assessment: If the BAC is above .18%, the court will require an alcohol/drug assessment to be done before sentencing, which could result in an additional six months of counseling. Prison Time: A state prison sentence of one to six years. Fines & Fees: Fines or fees from approximately $2,000.00 to $5,000.00, plus additional fees and assessments. Driver’s License Revocation: A driver’s license revocation for three to five years. Reinstatement of the license requires the payment of fines or fees and filing an SR-22 form showing proof of insurance. Beyond the penalties required by statute, there can be other impacts on your life resulting from a DUI offense. They include increased insurance costs, the inability to get certain kinds of employment, and/or the inability to get licenses for certain activities. Receive the help of DWI lawyer, Robert L. Langford, and avoid facing any of these possible penalties. Contact us in Las Vegas, Nevada, to avoid paying serious fines or facing jail time. We serve clients throughout the city.